CBRE jointly offering what was formerly home to the Moonee Ponds Market. With six street frontages and high expectations for a landmark urban renewal development, Leighton Properties and joint venture partner snapped up the vacant land for $23 million and it was stated that the staged development would likely provide in excess of 800 apartments and 2,000sqm of retail, with an end value near on $450 million. Urban Melbourne, the proposed residential tower would have had 162 apartments within its 15 levels and include retail outlets fronting Hall Street. Along with associated landscaping and provision for a pedestrian link the scheme would cover 2,388sqm or over 17% of the total development area. Two residential towers in excess of 20 levels headline the concept scheme, followed by the planning of a number of smaller towers thereafter. Included within the scheme is the envisaged north-south pedestrian link/public open space which City of Moonee Valley had requested, in addition to a number of other key site criteria that have been sent to the Minister for Planning for approval within site specific Development Plan Overlay. Leighton Properties Managing Director Mr Mark Gray described the purchase of Moonee Ponds' Readings site as "Consistent with Leighton Properties strategy to focus on inner ring urban renewal sites which are in prime locations, close to transport links, retail and places of work. 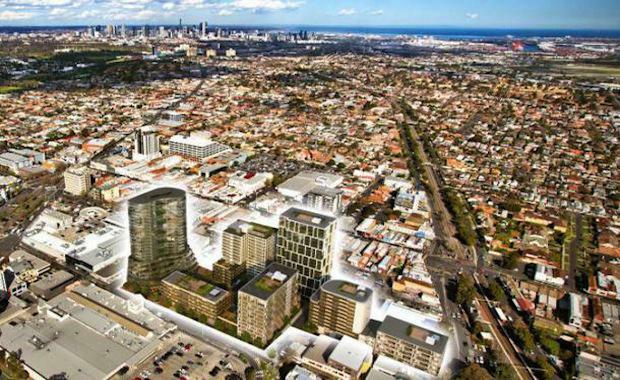 "A great opportunity has arisen for a developer to assume the reigns over one of Melbourne's blue-chip development sites.